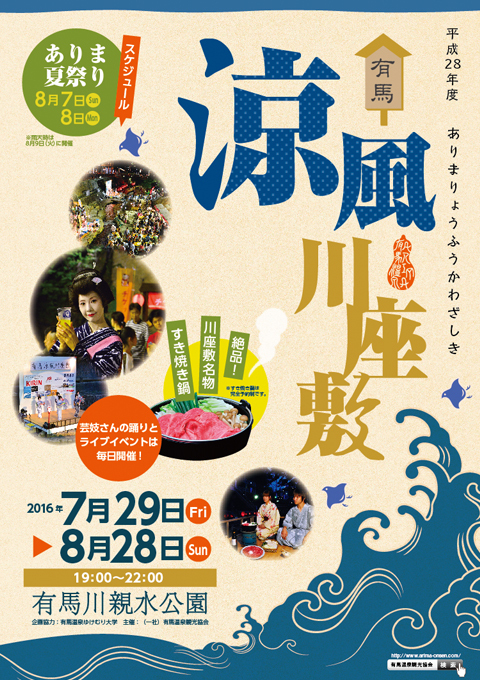 Arima Ryofu Kawazashiki will be held from July 29th through August 28th. Viewing boxes and stages are set up in the Arima River Shinsui park, and stalls, games, performances, and geisha dances can be enjoyed while taking in the summer night. With the river breeze providing relief, many people come every year smacking their lips in anticipation of delicious food. Please come and enjoy the summer season in Arima Onsen!